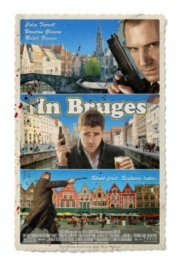 Set in the titular city of Bruges, Belgium, where two Irish hitmen are lying low after botching a hit back home. One wants to sightsee, the other is interested in more hedonistic action, and ends up getting involved with a dwarf, prostitute, and drugs. Just when things can't get more complicated, their foul-mouthed boss arrives, and then the pawpaw really hits the fan. Comments This movie is certainly adult orientated.